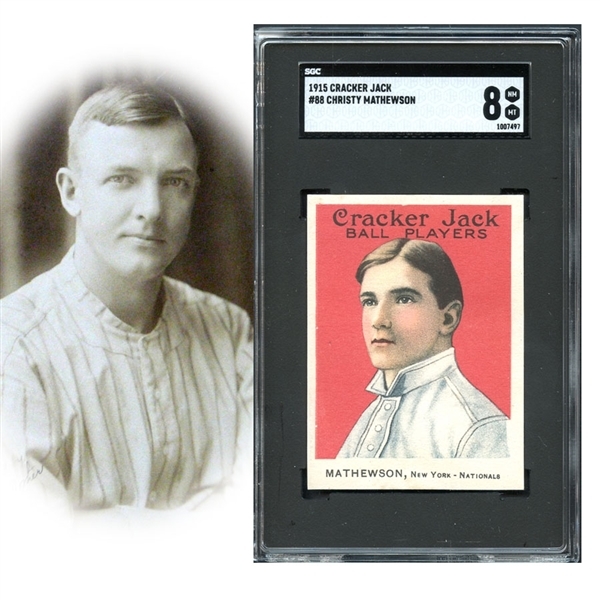 The 1915 Cracker Jack set is loaded with true baseball legends, one of which is “The Christian Gentleman” Christy Mathewson. 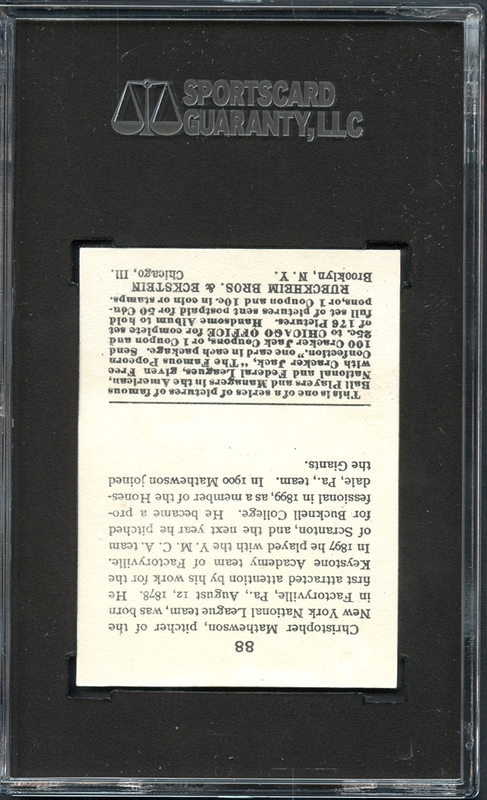 Unlike many of the other superstars of his day, Mathewson was at the tail end of his career when this card was issued, a 34-year old hurler that was about to experience his first losing season after having notched 24 wins the prior year, running his career total to 361 victories at the time. A nicely framed image of the great hurler is placed upon the delicate paper stock with an amazing pairing of bold background red and the stark white of the uniform and the borders, with peachy flesh-tones of Matty’s face seemingly bringing the card to life. 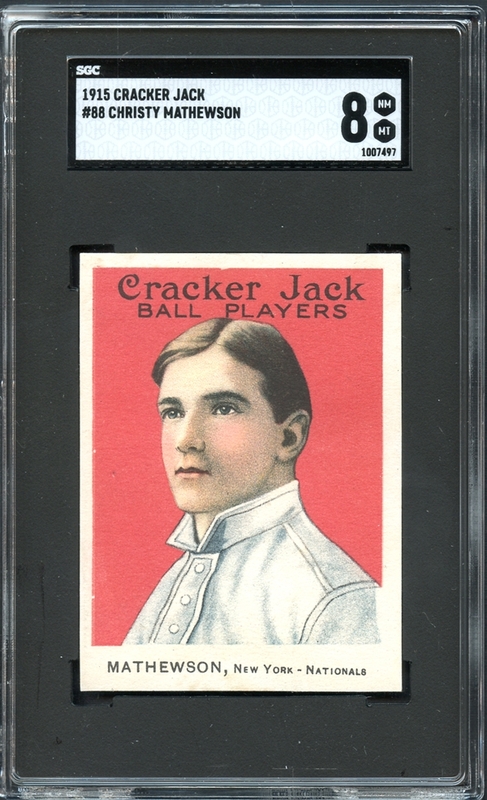 The four corners easily stand up to the specs of the NM/MT grade and the reverse is well printed with a bright canvas that shows no staining, clearly spared the dangers of the condition-ruining caramel. A scintillating example of an iconic issue, offered in prideful NM/MT condition.